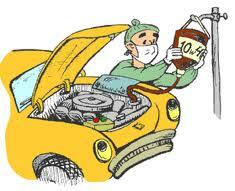 We’ve all heard that we’re supposed to change the oil in our cars every 3000 miles or 3 months, whichever comes first. That was then, but for newer car models, the last 10 years or so, manufacturers have been recommending much longer intervals. Now they say every 6000 miles. That’s good for the environment, of course, because old oil is pretty mucky stuff. So, it’s much better if we use half as much. Not only that, but changing a car’s oil as frequently as required keeps the engine running more smoothly and contributes to better gas mileage. Another way to do a better job both for the environment and for your car is to pick better oil. Better oil? That sounds weird, but if you actually go to an auto parts store and check out the oil aisle, you will notice many different choices. Which one to pick? As you know, conventional oil is produced from crude oil. This is usually the cheapest oil, delivered in several different weights, and it’s supposed to keep your engine running so well that you get more horesepower and then, well, more miles per gallon of gas. Synthetic oil is an even better choice, though it costs more. With synthetic oil, you change your oil even less frequently while at the same time making the engine run even better, giving you even better performance and mileage. The downside is that it costs more, so you don’t save money changing the oil. It’s also better for the environment. Now, for the first time in a long time, there’s something altogether new on the market. 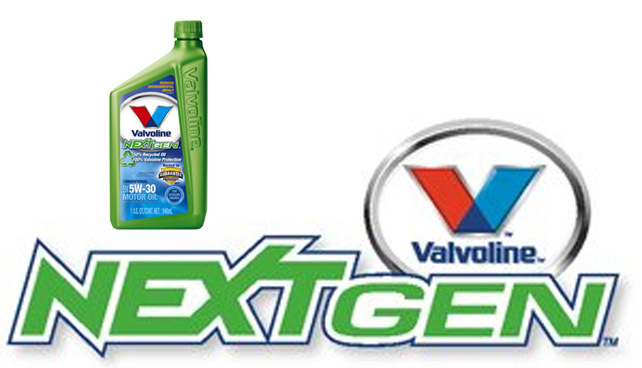 Valvoline is one of the first manufacturers to offer motor oil made from 50% recycled oil. The great thing is that it works just as well as synthetic oil and doesn’t cost as much. Don’t ask me how it accomplishes that feat, but you can buy this oil to change your own oil or go to a Valvoline oil change center and ask for it. Conclusion? 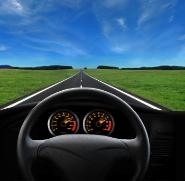 You can do better by the environment, by your car and by your pocketbook simply by the motor oil you choose. Who knew? As we have all noticed, gas prices are modulating. If you really look, you can find gas at around $4 per gallon. This price drop will probably be temporary. Nevertheless, even at reduced rates, it still hurts to pay $60 or $80 or $100 to fill up your tank. In several previous posts, we’ve seen ways to make the gas we do buy go further. First, there was How To Save Money on Gas and then More Ideas To Save Gas. Those ideas were, of course, good [if I do say so myself], and, in following them myself, the lead foot I was born with has lightened up considerably. But, I now realize we Americans have a lot to learn about how to save gas. Recently, I ran across a compilation of tips prepared by Europeans who, as we are slowly becoming aware, have been paying big bucks for gas for years. In France, the price is around $7 and in Germany around $9. The extra is due to taxes, a social choice we are not prepared to make. Even the Europeans are having trouble sticking it as the recent huge truck strikes across the U.K. and in France have demonstrated. Whether gas becomes a bit cheaper or a bit more expensive, most of us have figured out that we do have to change our profligate ways. Even if we can afford the gas at $4 or $5 a gallon, we now realize our planet cannot. Intrigued? Check out 90 more tips at Ecomodder! Have fun learning the tricks of the hypermilers some of whom can get a 100 miles to the gallon in an ordinary Honda.